View current notices, or visit the homepage. The 2018 NZ Sport Stacking Open Championships are being held on Sunday 3 June (Queen’s Birthday Weekend), 8.30am–5.30pm at Northland Memorial Community Centre, 5 Woburn Rd, Northland, Wellington. Stacks of fun as competitors from around the country compete at the second sanctioned tournament for 2018. A thrilling way to spend time on the Sunday of Queen’s Birthday Weekend! 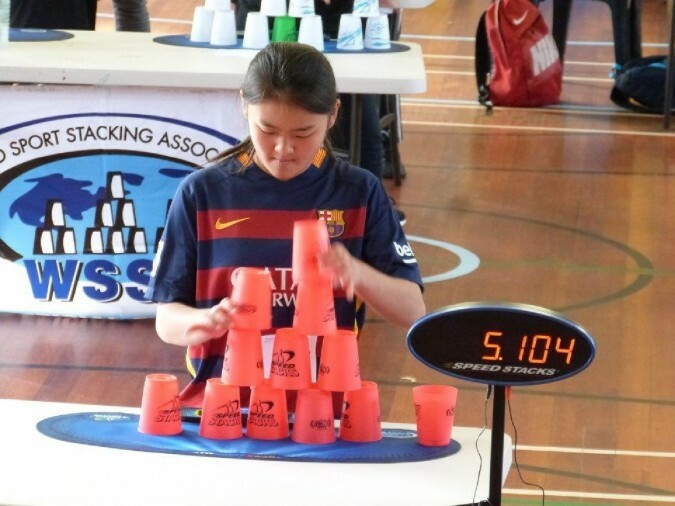 The NZ Sport Stacking Open Championships double as trials for the NZ Black Stacks. Any competitor wishing to be considered for selection for the 2019 NZ Black Stacks team, representing New Zealand overseas, will need to attend this tournament. Experienced stackers will be in record setting form. This is a chance to watch our very best stretch themselves further than ever before as they strive to impress the selectors. Spectators will not be disappointed.